This million dollar question in the title has been a topic of debate for almost a century. Half of us are in favor of the system while the other half openly despise the system. The system too has its set of flaws that totally justifies the stand of those against it. But does that mean patenting system stifles innovation? Before we can find an answer in the literature on this we first have to define the concepts innovation and patents. 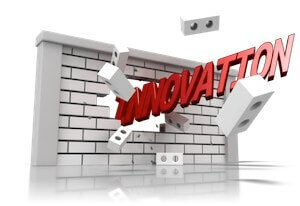 I consulted some dictionaries to find out what “innovate” and “innovation” really means. Innovation comes from Latin “innovare” for renew, whose root is “novus” or new. The word patent originates from the Latin patere, which means “to lay open” (i.e., to make available for public inspection). A patent is a set of exclusive rights granted by a sovereign state to an inventor of a new method, substance or mechanism. This exclusive right is granted for a limited time period (mostly 20 years) following the submission of the patent application and forbids others to use the patented method, substance or mechanism without the permission of the patent owner. Patents are legal instruments intended to encourage innovation by providing a limited monopoly to the inventor (or their assignee) in return for the disclosure of the invention. The underlying assumption is that innovation is encouraged because an inventor can secure exclusive rights, and therefore a higher probability of financial reward in the market place. The publication of the invention is mandatory to get a patent. Keeping the same invention as a trade secret, rather than disclosing it by publication, could prove valuable well beyond the time of any limited patent term, but at the risk of congenial invention through a third party. What we can read about it? As early as 1986, from a famous study by Mansfield et al (cited over 1600 times), empirical research into the effect of patents on innovation found “its effects in this regard are very small in most of the industries studied”. A random selection of 100 US firms was chosen from twelve different industries. In conclusion it says that patents were only relevant in relation to innovation for two industries (Chemistry and Pharmaceutical). In addition many economists seem to believe that patent protection tends to be more important to smaller firms than to larger ones. Although the patent system seems to have a relatively small effect on most industries, this does not mean that firms make little use of the patent system. In the two above mentioned industries 80% of all inventions are protected by a patent. Despite the fact that the patent system generally is defined to increase innovation this study is indicating that there is only a small effect. Of interest is whether a more recent study is available and is there any information available from other countries as well? However we must keep in mind that patent stimulates innovation differently from one sector or one technology to another. There is not a universal effect of patents. A poll on the website Debate.org on the question “Do patents hinder growth and innovation within society?” gives a 71% yes and 29% no. Although it is not clear who did vote (link). A general conclusion cannot be drawn about whether patents stimulate innovation. Some publications intend to answer this question negative while others are more positive. When patent rights have been too broad or strong, they have actually discouraged innovation. (Link Annu. Rev. Econ. 2016. 8:241–58 ) And yet the connections between patents and innovation are difficult to identify empirically, and the predictions of economic theory are somewhat ambiguous. It has often been said that countries that have a strong patent system have much more diversification in innovation when compared to countries with a weak patent system, saying in other words that less developed countries has lower stimulation of innovation by the patent system. Introduction of uniform patent laws across the world may reduce rather than increase variation in the direction of innovation between developing and developed countries. (Link1 Link2). Maybe other factors influence innovation more than patents do. Thus luckily innovations will continue to appear even without patents.